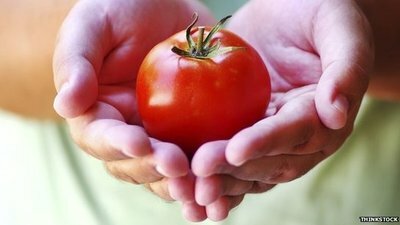 Tomatoes, Can They Fight Cancer? Eating tomatoes may lower the risk of prostate cancer, research suggests. Men who consume more than 10 portions of tomatoes each week reduce their risk by about 20%, according to a UK study. Prostate cancer is the second most common cancer in men worldwide, with 35,000 new cases and around 10,000 deaths in the UK every year. Cancer experts recommend eating a balanced diet which is high in fruit and vegetables and low in red and processed meat, fat and salt. Men should still eat a wide variety of fruits and vegetables, maintain a healthy weight and stay active” – Vanessa Er – Bristol University. The Bristol team analyzed the diets and lifestyles of around 20,000 British men aged between 50 and 69.